This is just a final reminder to those subscribers who live within driving or traveling distance of San Francisco THIS weekend, starting tomorrow night. The San Francisco Orchid Society hosts the Pacific Orchid Exposition in February of each year. The Pacific Orchid Exposition (POE) is considered one of the 10 best worldwide orchid shows. I have attended this show for many years. 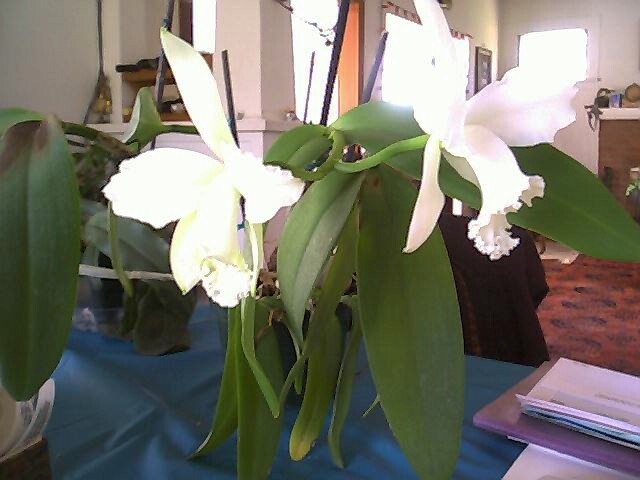 Initially I went as an orchid enthusiast, to learn, admire and purchase orchids. They have a benefit night on the Thursday, February 28, 2008 (tomorrow night) before the main show opens with food and wine, music and incredible orchid displays and vendors. I used to go with friends and make an event of it. We would stay over in a bed and breakfast, dine out in San Francisco and just have fun together and with orchids the show. But the wine they served years ago was definitely not up to my standard. Winemakers can be fussy folk! Fast forward to the future (Now) and Voila! The POE hosts a select group of 20 high quality wineries that pour their wines at the Benefit Event the Tomorrow evening before the main part of the orchid show. Great wine, good food and music and the fabulous displays and booths of orchid vendors from around the world. Talk about Heaven! Bringing the Gems of Nature down to Earth. I encourage you all to go if you can. It is a fabulous show. As to the future, you can expect a report on the show and any really memorable orchids, ideas or vendors. I am hoping to use it as a fact finding mission to help continue to add to the wealth of information available to Orchdaceae subscribers. I am also working on a section that I will eventually post to the site of "Frequently Asked Questions". Hopefully to help streamline your getting answers to your pressing orchid questions. Thanks to all of you who have contacted me so far. It helps me know where to direct content for the site. Also there is another report I am working on called "Easy Orchids". I just love the ones that are easy to grow and consistently flower. What a great combination! Hope this is all of interest. Good luck and Happy Growing!! !